A while back I was having extraction issues with my 93R17, as well as accuracy issues. Long story short, the rifle was sent back to Savage where they shot it, sent it back to me and said, "the rifle shoots within specs". I didn't agree, so I sent it to Scott Null at savagegunsmithing.com in Idaho. Scott did an entire accuracy package on the rifle and it was shooting fairly well, although I continued to have an occasional extraction failure. Scott asked me to send it back to him. He found that maybe 80% of the cases were splitting, which he did not notice the first time the rifle was there (I had not mentioned it). Upon measuring the chamber, it was found to be completely out of spec. Scott re-lined the barrel with a match liner and test fired upwards of 100 rounds - he sent me the annotated targets showing the group size of all the different types of cartridges, with added info on wind direction, etc. Most all groups were far under an inch at 50 yards, with many ragged, single holes. Since Scott did not catch the chamber issue the first time the rifle was there, he didn't charge ANYTHING for the barrel re-lining and significant time spent on the work. He didn't charge shipping. That is customer service! On top of that, when I called the shop, Scott answered the phone and personally filled me in on all the details of the work he did. Hello Mr Null, Happy July 4th! I finally had a chance to shoot my rifle yesterday and it was great. Much more accurate then I will ever be. Thanks for all your efforts! Hi Scott, Just wanted to let you know, Ken thinks you got his rifle fixed. Please find attached targets showing that. Thanks for you help. Karen and Ken K.
Scott, Just wanted to let you know how well my rifle shot. I'm the guy who had the Camo Savage with the medium weight barrel in 300WSM. 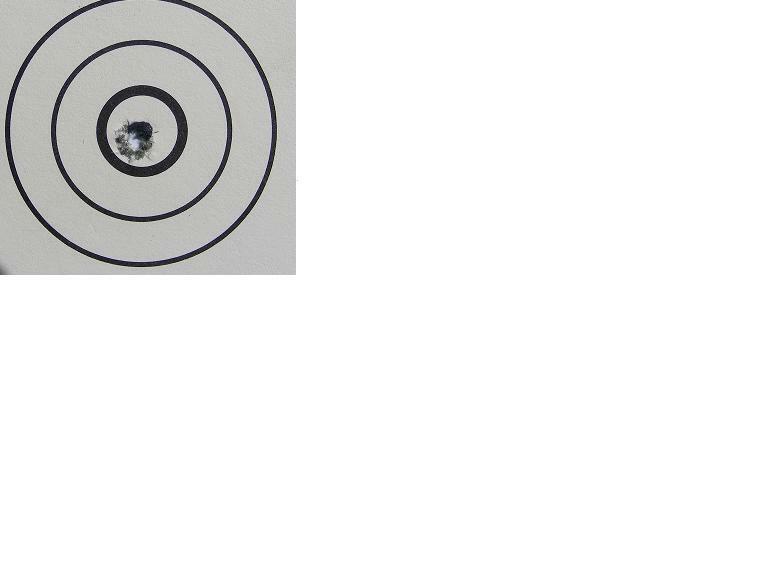 Finally got to the range to try it out and I am very pleased, it shot just over 1/2" group using 180 grain ballistic tips with IMR 7828 and right at 1/2" using 180 ballistic tips with IMR 4831. Thanks for doing a great job on the rifle. What do you think of the new stock Savage is coming out with next year ( the one with the aluminum bedding block in it )? Let me know your opinion on it, I'm thinking about having you do me a Savage in 7mm next year with their new stock. Thanks again! Al M.
Thanks for your work. Looks really nice. I am waiting for a scope mount so have not taken it to the range for a test run yet. I will let you know how much better it shoots than the me. You worked on a savage 270 for me and I love this gun you did just a great job. I am thinking of trying the long range shooting and I want to know the cost of you making me a great rig. Have a great Day K.E. Got my Rifle back today , Tell Scott great Job. The rifle looks fantastic. I could not be more pleased. I Just put a few rounds through & it seams to shoot good too . I will give it a full workout this weekend. I have another project for him if he is interested now that I see his work. It is not a Savage however . I have A FN manufacture Isreali K98 7.62 Nato with Isreali crest. Good piece lots of history & life still in it. Hi. I live in Somerset,Ky and I received my trigger parts today. I just wanted to thank you very much for helping me with this when no one else would. The parts were for a rifle that My father left me(he passed away about 4 years ago) thanks to you I can take it to the range and bring back some of those memories. Picture of Elk the killed on November 16th with the 7mm RUM you re-barreled. Josh who’s married to my granddaughter had never been big game hunting before, this bull scores 355 was shot at 300 yards. We had him practice in the prone position until he could shoot a 5” group at 500 yards. It took two shots and Josh is a very happy camper. Earlier this year, I think around February I ordered and received from you a Savage 12 F-Class with your accurizing package. I finally got to shoot it at 600 yards today and was very pleased with the results. I shot a 197+5 and 196+5. This also being the first time I shot at 600 yards let alone with this rifle. I used a 107gSMK bullet with 30g of Varget with Wolf Magnum Primers and Lapua brass. Basically a textbook recipe. Anyway, the rifle shot like a champ and I just wanted to say thanks for a job well done.